Loish has been drawing even since she was a kid. When she transition into digital painting in 2003, she was able to share her work with an even larger audience. Her paintings are adored. Each one of them on DeviantArt has over hundreds of comments. That's just how popular her artworks are. It's great that publisher 3DTotal was able to team up with her to produce this sketchbook. It was actually launched as a Kickstarter campaign in August 2015. 7,663 supported the campaign with a total amount of £246,490. For those who did not support the Kickstarter in time, this book is now also available to the public, thankfully at a reasonable price. This 152-page hardcover artbook uses non glossy paper and the artworks are printed huge. There's also a brown cardboard slipcase. The book looks at her process and evolution, from when she was drawing as a kid, to a student and then finally as a professional illustrator. The artworks look amazing. I love the look and feel. Colours are lovely and there's this delicate softness that's very appealing. Many will work well printed large as wall mounted paintings. 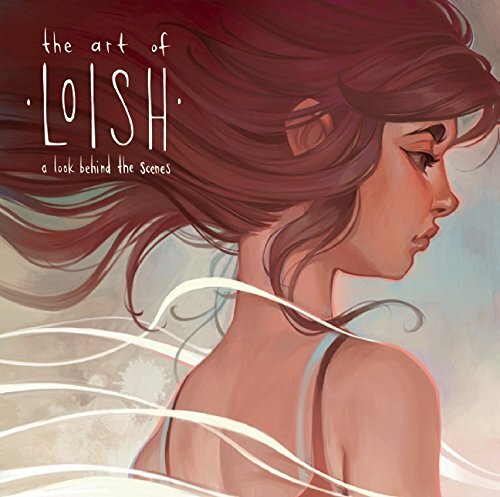 Loish also talks about her process so it's quite an insightful book, not to mention inspiring especially if you look at her growth as an artist. In additional to the finished paintings, there are also sketches, storyboards, colour studies and also some drawings from her very early years. Right at the back are two tutorials and some quick tips for drawing. This is a wonderful artbook. Highly recommended. I hope there's a 2nd volume in the future.